Right, enough about Have I Got News For You ! Thank you for all your kind and reassuring comments. Sorry to those who thought the cumulative remarks were “sycophantic” - but I mean, really, cheer up! First of all, the comments weren’t all positive. Second, as one poster pointed out, this is my website! The chances are, this isn’t where people would come to be horrible. Plenty of people found the website BECAUSE they’d liked the show and wanted to say so. It would be a strange place to come to criticize; that would be weirdly rude, wouldn’t it? People who didn’t like it could say so on BBC websites, on their own blogs, in other public forums, they wouldn’t need to come to the personal website of one of the contributors to do that. Fine to do it if they want to argue with someone’s expressed opinion, of course, but I didn’t really express any opinions on that show; it would be a bit mean to come here just to say they thought I wasn’t funny, or looked ugly, or did a bad job - hurray for human nature and old-fashioned British manners, that there wasn’t a great stream of people queuing up to do that! Third, horrible remarks don’t get put up here anyway. Why should they? It’s not a newspaper, it’s not a publicly-funded organization, it’s my private website and if I want the mood to be nice and friendly then it can be! Fourth, maybe the programme really was fine and nobody has anything horrible to say? Maybe it was an enjoyable half hour of TV, everyone looked all right, everyone was quite funny and there’s nothing particularly bad to say? It’s possible! There don’t always have to be black and white takes on everything. I remember once the Daily Mail ringing me up, years ago, to ask me for a piece criticizing… who was it now? Someone really harmless. I think it was Denise Van Outen. I said “Why, what’s she done? What have I missed?” and they said “Oh no, it’s nothing specific, but she’s everywhere at the moment, everyone’s raving about her and we need an alternative view, she needs a bit of a knock”. Obviously I didn’t write the piece. But the mood on the internet has got a bit like that; if everyone’s positive about something, some people feel there’s a requirement to be nasty “for balance”. There isn’t! Sometimes it’s fine for things to be fine! Anyway, from a purely personal viewpoint, I’m very grateful for the nice comments because I was very nervous and self-conscious about it, my confidence isn’t at an all-time high, and I think it’s really kind of people to make the effort to find the website and type in encouraging remarks. Let’s draw a line under that one now. I wanted to write a new blog but I’m not fizzing with a particular new opinion this morning. It’s the anniversary of the day my father died, and I think will be a day of quiet reflection for me. I don’t know why I’m mentioning that really, other than that it might give people a moment to remember my father, if they were familiar with him, and I like the thought of people doing that today. Congratulations on your article in the Observer this week. Although it’s not unexpected that we should be made to swallow changes we actively voted against, we should never lose sight of it. At election time we are told, by politicians, by journalists, even by liberal intellectuals, that we should vote. At the last election, expected turn out was close to 60 percent, and the exhausted cliché was crowed: this would be ‘a victory for democracy’. In what other area of life do we judge success purely on the grounds of participation, regardless of the results? Millions of people voted for the National Socialists, let’s not forget. Until the major institutions of society are under the popular control of participants and communities, it is pointless to talk about democracy. Well, quite. What, though, has always puzzled me about the rhyme is the supposed role of the horses. OK, so all the King’s Men might have been able to lend a hand, but how would a King’s Horse contribute? Half a ton of horse - with hoofs and all - just can’t see it working. Your dear late father would have had a good riposte I have no doubt. I grew up with his fine wit and those of his confreres - Frank Muir, Robert Robinson, Patrick Campbell et al. He added much gaiety to nations. You must miss him so, and a big hug for your sorrow today. Vicky, thank you for the mention of the anniversary of your Father’s passing. All the very best to you today. Sorry it’s not much to say, but just wish you all the very best. Your dad was an original,which was why he stood out from many of his “clone-like” contemporaries. My first encounter with his work,was when I found a book,in which he recounted his attemps to ring up world leaders, mao, breshnev, nixon, etc., a simple but briliant idea. I think he may have been reincarnated in the form of sue perkins, who shares the same articulate charm and sharp wit. ihope you are not too sad today. Philip, hello. I would need to slightly change your last two lines in order to feel more comfortable: until the major institutions of society are under the control of people with a guiding (and abiding) moral conscience....tra la tra da tra la. Yes? Those who control the major institutions are “participants” and (notional) members of the community already, surely? Ms Coren, hello. An 800 word character limit on comments? Oh lordy, I’m going to struggle here. This must be what Twitter’s like - only, you know, better. I’ll content myself by offering you the hope that the third anniversary of your father’s death has been a day of tender pains and a more joyful, uplifting remembrance. I was impressed by your Observer column, you need to be on Question Time next! In honour of your father, today I shall broaden my horizons by exposing myself to some of his work. Good luck and remember: do not feed the Trolls! Thoughts with you and your family today. I have a short view on politicians, they are nearly all total bastards - no left or right anymore they’re all in the middle and it’s a muddy dirty middle. A few years ago I met the guy who threw an egg at Prescott (he was much shorter than he looked on TV). I could not decide if I should shake his hand or tell him off for assaulting an old man in that way. We miss your dad, even more than the voiceover industry misses Tommy Vance. I think it’s important to remember that the LibDems are very much the junior partners here - ‘Dave’ would hang on regardless, I think. That said, the £7bn for poor kids won’t matter - the majority will still be put off going to uni. I still can’t see why fees can’t be scrapped again, tbh. After all, we were worse off in the early 80s, and education was still free then. Yes, only 10% bothered to go, not 50%...but maybe fewer would waste time on largely pointless degrees if there was any decent/viable alternative? Anyway…money. That type of economy is doomed to fail at some point. Quite right too its your website, why should you post the misdirected/misinformed vitriol – there’s enough of that nonsense on the CiF section of the Observer!?! I think you should be praised for the fact that you do often post up some of the negative comments, you don’t have to. I’m off to France for birthday weekend treat this week so I was sorting out my reading for the plane, I retrieved Chocolate & Cuckoo Clocks from my bookshelf…but it hasn’t made the confines of my hand luggage yet as I’m re-reading it today. It doesn’t matter how many times I read Father’s Lib, Let Us Now Phone Famous Men & Queening It, they make me laugh every time (as does rest of the book tbh!). Your father will certainly be remembered fondly in this little corner of Scotland. One of the reasons I started to follow Vicky’s work is that, to me, she has more than a smattering of her dad’s style. It’s a weird time of the year. The first anniversary of my father’s death is approaching and I’m feeling a bit gloomy. Your rant is understandable, but you have to see the bigger picture. Your politicians have a horribly hard job: The 2010/11 budget forecasts a net borrowing of £149 bn - that’s DRAMATIC & highly irresponsible. Simply put, you are living at the expense of the future generations. Your children will have to pay back a debt of £1000bn & carry the heavy burden of the interest payments (which are clearly the most useless expenditures ever) . That’s not social! Cuts are inevitable and everybody has to contribute their fair share. Have a lovely day and light up a candle in memory of your brilliant father. Thanks for all these lovely comments about my dad, and memories of some of his best writing. They’re really making me smile, and feel grateful for the warmth and kindness in the world. For anyone who hasn’t read his work, do have a look at Chocolate And Cuckoo Clocks on the ‘books’ page of this website - he was so brilliant, and the book’s in paperback now so it doesn’t cost much to slip into his magical world. Oh Victoria, first time I saw you was as a thumbnail picture atop a particularly amusing piece of writing in the Observer. More recently, I read you’d had a spell on similar medication to myself, and over on Twitter you were so kind as to even offer me advice on coming off the pills slowly. Really want to add to those appreciating and enjoying your Observer columns, and last Sunday’s especially for its political and personal comment. We all miss your Dad enormously, as well. The only reason I sought out your webpage was to gaze at pictures of you! You are probably much too modest but - seeing as its your website - you could have a gallery. I expect most of the people visiting this site just fancy you (since 1988!). Also I am a total sycophant; hopefully my flattering comments will aid your self-confidence - on the other hand it might just make me look like a slimy online stalker type. I hope you are having, or have had, depending on when you read this, a quiet and relaxing day. Here in Norfolk, where no one seems to have heard of The Pipe Smoker’s Club, it has been cold with autumn leaves blowing in a keen northerly wind amongst low glancing rays of sunshine. Just the sort of day to put on a thick coat, go for a walk in the countryside on one’s own, and reflect on life the universe and everything. Best wishes to you and your family on this, your own day of reflection. It’s quite right that you don’t post the horrible remarks. If someone writes that Victoria Coren is a stuck-up cow who thinks she’s really funny you should definitely censor it. As for what’s funny, well I think it’s what makes me laugh.. and I was giggling away at HIGNFY, so thanks for that. I am curious though, why does Paul always win? My memories of AC are mostly episodes of Call My Bluff which I watched back in my student years (which is to say, the years in which I mostly eschewed study in favour of watching Call My Bluff). I feel like I’ve missed out on a lot which I intend to rectify. All the same, I was saddened at the news of his death. The man exuded wit and charm, which both you and your brother have inherited (less so your brother, obviously, but he’s a trier, bless him) and if I could ever give to the world a tiny fraction of what he did, in one way or another, I’d be thoroughly content, although why I’m bringing me into this, I’ve no idea. Excellent column, by the way, as usual. I’d like to see you on Question Time (again) also. With Cameron. And Clegg. And a cheerleader. And Charlie Brooker. I had to share with someone, I hope you dont mind me writing here. My 6 year old just answered 2 sharps while watching Only Connect with the explanation “it goes up in 2’s mummy, so 2 up from zero sharps is 2 sharps”. Classic! He beat the teams! I loved your dad and think that both yourself and Giles are worthy successors to his wit and wisdom. Long may that continue! If that is sychophantic, I don’t care. It is a genuine and sincere comment. BTW I am half watching “Only Connect|’ as I type. You are delightfully contagious! Much love to you on this anniversary day. Your father was a great writer and humorist, and is sadly missed. I do feel I can hear your father’s turn of phrase in many things said or written by yourself and by your brother. I find it very endearing and very much approve. Dear Victoria, just a very simple message, your lovely Dad would be so proud of all your wonderful achievements this year. There’s that saying that everything is as hard as you make it for yourself. One can care about what others think a lot. It depends who these others are. How many people’s opinion do you really care about? Never knew your Dad or his work. Which i am ashamed about. I just know that you love him a lot. He never doubted that. Must have been a great guy. Your father was a genius satirist, and a pleasure to listen to on the radio, indeed he first drew me to radio four. He’s a loss to us all and you do him proud in that your humour, like his, is best when it’s natural and unrehearsed. Unfortunately I found your observation that interchangeable politicians may as well just point and laugh at us too true. I get the impression that Philip (11:17 am on October 18th, 2010) will not be voting. It gives them legitimacy when we vote; I suggest he’s probably right. You’re not buying all that “we’re all in it together” rubbish either are you? It isn’t that Cameron has got his hand up Clegg’s backside—they’re all puppets of money power. Victoria, your column in the Observer is one of the delights of my Sunday. I often read it out to my son (he can read - just too busy!). You have inherited the wit and insight of your father and may you long carry on the family tradition. Not sure if this is the place to have a discussion about nature or nurture, but it seems Mr and Mrs Coren produced two very talented offspring yet for example, Bruno Senna doesn’t seem that good in comparison to his old man. 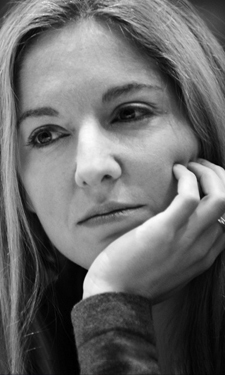 What’s your view on it Ms Coren? I know your own modesty will not let you admit your own fabulosity (yes, that is a word I just invented,) but did your parents have super-genes, was it the way they brought you up or was it your own discipline? I just wanted to drop you a line in memory of your father. Growing up, instead of the latest footballer, movie star or whomever, your father was my idol - charming, urbane and witty. Having now grown up (some would say) I realise how far I’ve fallen from that ideal. There is and will be only one Alan Coren. Having lost my father some years ago, I can empathise with you at this time. My thoughts and prayers are with you and your family at this time. PS: Don’t worry. I am confident your father would be so proud of you. !! Thanks very much Lauren, that’s very nice of you. Of course I read it - I read everything that goes up here. Sorry you’ve been ill, and hope you get better soon. Robbie: the nature/nurture question is hard to answer. Speaking only for myself, though, I can honestly tell you - this isn’t false modesty - it’s not about talent anyway. My father had blazing natural gifts that I don’t have. I’m very much a jack of several trades, master of none. What I am is quite determined and hardworking. I’m quite disciplined and good at time-keeping, quite motivated to work out what people want from me professionally and do it, and I take everything I do quite seriously so I put a lot of energy into it. I’d guess a lot of that’s to do with upbringing, a lot of it’s just the way I’m made, and a lot of it is sheer luck - but I can’t answer the nature/nurture question definitively! What I can tell you that, in my personal experience, doing anything well is a lot more about perspiration than inspiration. That wasn’t the case with my father, who was just naturally brilliant. I enjoyed your episode of HIGNFY - why not be the Chair? Remembering your father - having taken the advice you gave me when I was on Connect and told you how much I enjoyed his work, I purchased Chocolate and Cuckoo Clocks. Anyone who liked your father’s work and has not purchased the book is really missing out. I knew his early work, up to around the Amin years, but not the later so that was all new to me and I had keep stopping myself reading bits out to my wife – and rereading it a few months later, it was still as funny. Keep up the blogging and writing; you are a worthy successor to Alan. Ah, Victoria. Brilliant as your father was, the apple doesn’t fall far from the tree. What I’ve sometimes wondered is, did it help that your dad was who he was when it came to starting your career, or was it (is it?) something of a millstone around the neck? My first post (originally left in the HIGNFY thread) reads a bit crass as the first post after Victoria’s new blog, so apologies for that. Alan Coren was an effortlessly brilliant writer, and he absolutely commands my full respect, for what it’s worth. TPE - I assume you’re deliberately misunderstanding me, no? NN - I totally agree. In the British electoral system, a General Election is a summons by the state to legitimise its actions for another 5 years. We are told that we should vote because the thing feared most by the state is non-participation. A rejection of this phoney choice. A blank vote is not apathy. @Victoria Every other(if not every single one) person has some sort of talent. It’s those who work hard that do deserve the recognition of others. Those simply brilliant couldn’t care less. I sense that Robbie feels that nature has a big part in this and a slight disagreement from you. Im a bit passionate about this, because i don’t think that our bodies are the same when we’re born and forcing some sort of upbringing onto a person that’s not “made” for it can cause them a lot of personal issues down the line. vicky, just watched the LATE NIGHT POKER prog. If i may a couple of questions: was the player sykes unlucky to go out after about 10 seconds, or did he make an error? his pair of kings would have won a fair percentage of the subsequent hands. The commentators kept raving about ivey and hansen, and although they were the last two players at the table, it was clear that they were dealt the best hands. so was good luck more important than poker ability? ivey’s ace 9 to your ace 4 was typical of how things went all through the match. you didn’t get one killer hand at all. I enjoyed reading your post today, (11:28 am) and believe me, all your hard work and dedication to the many valuable skills you possess produces a very professional result; and one that justifies all your perspiration. Bugger, I’ve just realised: I don’t know what Victoria’s target audience is. Maybe I’m not it! Maybe that’s the reason she won’t marry me! Oh no, wait… I haven’t asked her yet… Victoria? Will you? Failing that, Lauren? You seem nice enough. Anyone? I can’t be too fussy at my age… and with my face… and personality. Karl - my father’s success has never been a millstone of any kind, only a source of pride. I’m sure it was useful to my brother and me - not in the sense of networking as some people imagine (my dad never rang anyone up and asked for us to be given a job!) but just in the sense that if you have a parent who has been successful in a field you’d like to join, obviously this gives you (a) the confidence that it is possible, so it’s worth striving and (b) an example of how it works, a source of advice, a sense of the structure of the thing. I’m sure this is true for anyone who does the same sort of job as one of their parents. Jim - of course I think Jamie Sykes was unlucky, it was a horrible flop for him. I suppose all you might say is that it was maybe ambitious on such an incredibly tough table, to flat call before the flop with such a big hand rather than play it for a straightforward raise. You’d have to be quite confident they’d still pay you off if they DIDN’T outdraw you, and these were the world’s best players. Personally, in this particular line-up, I was not aiming to play any kind of “creative” poker. But there’s no doubt he was horribly unlucky. My own approach to that game is in my poker column this week. Fond memories of your Dad at this time of year, and thinking of you. I started buying his books when I was still in my teens – the first was Seems Like Old Times, I think – those wonderful collections of his columns, flights of fancy about the minutiae of peripolitan life. He taught me the word “anent” (and “peripolitan” – one of his –, “coruscating”, and many more). So I’ve spent over 20 years reading and rereading those books, right up to 69 For 1 and your anthology. Now I read them to my wife and we laugh together. I love the piece, written all those years ago, about you both going to see Alice in Wonderland, and meeting the White Rabbit. My goodness, his words crackled and sparkled. Loving Only Connect by the way, now a fixed family event every Monday. Eye of Horus, please! So palladian, Andrew H, and co., is this site some kind of niche for former Only Connect contestants? Am I the only person here who’s not appeared on the show? Jim (with the crooked smile), that is an absolutely lovely message, that made me smile my own crooked smile, and gave me a crooked lump in my throat as well. Thank you very much for your lovely words about my father. The eye of Horus is yours! I’m a little saddened by your gentle criticism of the “Saturdays” in your recent Observer article. They are one of my favourite pop tart groups. They are just as enjoyable with or without the mute button pressed. Just a quickie Vicky - hey that rhymes! Today I have ordered the posh hardcover version of “Chocolate and Cuckoo Clocks” by your dear dad. I hope he is smiling at the sudden upsurge in the popularity of his writings. Just watched Only Connect, and thus impelled, found your blog and so instructed, followed link to ‘shouty column’. Re; your Father’s Goethe/Wodehouse quote, I smiled when I read this and thought “Oh you crafty man!” Not only are the works of Alan Coren and PG Wodehouse those solely guaranteed to make one laugh out loud, and giddy with joy at their skill and wit, but also serve me as a test or barometer in social situations. A most useful method, I find, of sifting through the throngs of untried persons, is to ask their opinion of both Wodehouse and Coren. If they look blankly (horrific, but it happens) move quietly on. If they have read them, and fail to give due homage, move swiftly on. No souls see…Am certain your Father would agree. Re: HIGNFY Witty and alluring. Your wisdom/laughter comment almost made me cry, by ruffling my own memories. I’ll remember it for a long time, I hope. Do you still play on pokerstars? Never see you on there. Yes, I play on there all the time! Been playing a lot lately; we must just keep different hours. Just wanted to say thanks, I’ve been ill for the last week and when I read it your column really made me smile. So nice to have a breath of fresh air and “straight talking” and humour rolled into one. You may not thank me for this thought but have you considered politics yourself? - I might actually bother to watch PMQ if you were involved! Failing that as an experienced gambler I’m sure you could go and show the bankers how it’s done! My cousin has just started trading shares for Barclay’s, which does worry me seeing as how he has a 1st class Chemistry degree and no qualification in economics or anything related at all! On a self confidence note I hope you are feeling better. If it helps I’m 10 years younger than you and definitely fancy you (and not just for your wit)! Nature or nurture? That’s easy: nurture. We are shaped by many events: some happening during our lives, some before; some major, some minor; some public, some private; some happy, some sad; some we choose, some in which we have no choice; some we forget, some we can’t forget. We, including lying politicians and greedy bankers, are the products of our pasts. Some of those pasts and the people in them are worth remembering, either in quiet reflection or uproarious celebration. Some are not. Given a choice between nature and nurture I definitely choose nurture but nurture has other antonyms. RomanticRecluse - Yes, you are correct, he is not Senna’s son. Now you’ve made me look like an idiot in front of Vicky. I shall have to cancel the train ticket to London now. Robbie, it’s an easy mistake to make as Bruno Senna looks remarkably like Ayrton. Bruno was 10 when Ayrton died in 1994 and afterwards he didn’t race for eight years out of respect for his family’s feelings. Ayrton and Bruno had raced each other in karts and in 1993 Ayrton said “If you think I’m good, just wait until you see my nephew Bruno” so perhaps Bruno’s failure so far to live up to his uncle’s standards or expectations shows that nurture is more important than nature. Why did you book a train ticket to London? It’s an overcrowded, crime-ridden dump which is a magnet for politicians, bankers and gamblers and a bad example of nurture in action. Oxford’s better than London. I thought your appearance on HIGNFY was impressive thinking back, adding to the overall show. Also agree with your recent observer article in regards to the Lib Dems, politicians and the bankers. Throw money collected from everyone at the bankers and laugh whilst claiming its all being cleaned up. As for nature v nuture its a mix of both, like a sponge cake - everything mixed in. I know very little about cakes so I don’t get that analogy but perhaps we are all like cakes in that we are made with different ingredients, to different recipes and with differing degrees of skill. There’s a pop-psychology question: what sort of cake are you? I’m obviously a fruit cake. A very enjoyable article. Get through today as best you can - my dear Ma died two years ago and I know how you must feel. Made worse, I guess, by not smoking. At least I hope you are still not smoking. I witnessed your last one…..